Is it a Good Approach to Protect your Trademark by Buying many Domain Names? There are many companies that are using the “buy every domain on the market” approach to protect their Trademark. As the method is proven to have worked this might be an expensive way to do it and is unnecessary. How much would cost to buy all the possible relevant domain name combinations? What if I buy all of the domain names containing “my-company” keyword how much money would I have to spend? The amount is consistent but and if you are a small company you will probabbly not afford it. Top Level Domains appear all the time and it is very likely that in the near future all of the two letters TLD’s, (Top Level Domains), will be on the market and at some point in the near future many of the three letters TLD’s will be also available. The TLD’s are added constantly to the International domain name space. The extensions: .my .tel .cc .name are a good examples, they are meaningless in term of relationship to a grouping or a territory, (as for instance .us belongs to USA and .ca belong to Canada). 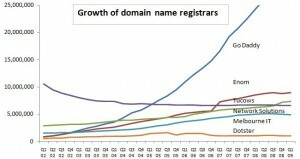 However the Domain Name registrars market them as content related domain names. For instance .my is targeted for personal websites, .tel is focused on telephony and communication related websites. In reality this is just a way to market them. Nobody sais that you can’t have a telecommunication website on the .com TLD. In fact this happens because there is a demand on the market. People that didn’t have the chance to buy a nice Domain Name have this opportunity with every new launched TLD. The list of TLD’s will continue to grow as long as there is a market. Here is a calculation of what would mean to buy all the domain names that match “head-massage”. 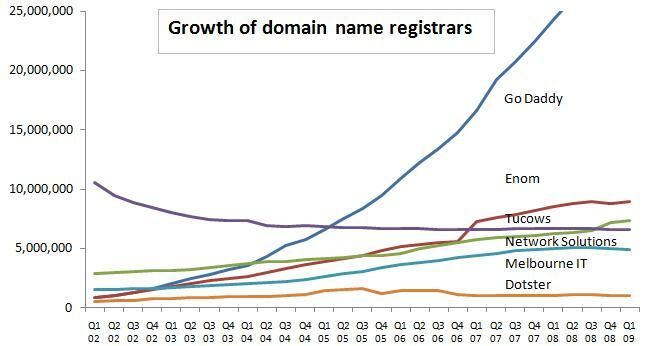 We take in consideration that the Domain Names Market will continue its trend and will launch all the two letters and three letters TLD’s. All the three letters combinations of the English alphabet give 5200 possible domain names. Head-massage.aaa, Head-massage.aab, Head-massage.aac, Head-massage.aad …… Head-massage.zzz. The total of the two and three letters TLD’s is 5875, (algebra combinations formula). This only counts for a keyword and we didn’t take in consideration the four letters domain names which are already selling on the market. If you count three four other possible combinations of your keyword your Domain Names portfolio will be huge. Of course I might have exaggerated a bit, but the idea is that it seems unlikely to be able to buy everything on the market only to protect.